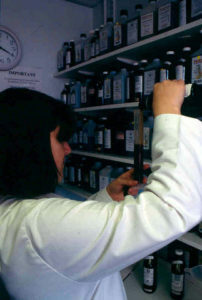 Anne Stobart is a clinical herbal practitioner based in South West England. She is an Honorary Fellow at the University of Exeter. Until 2010, she was Director of Programmes for Complementary Health Sciences at Middlesex University, London. Her research interests range from sustainable herbal medicine to the history and historiography of domestic medicine. Anne helps to co-ordinate the Herbal History Research Network. Her publications include Critical Approaches to the History of Western Herbal Medicine (2014) and Household Medicine in Seventeenth-Century England (2016). Currently, Anne is developing a sustainable medicinal tree project at Holt Wood in Devon, UK. ‘That is bad history!’ scowled my history lecturer back a decade or so. Yikes, what could I have done wrong? 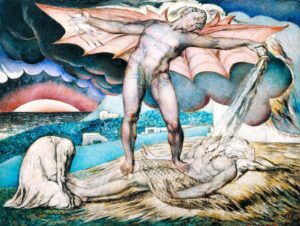 I felt struck down, so ashamed to have committed some major error, even deserving of being smitten with boils [Figure 1]. As a postgraduate, I had discovered women’s history, and become interested in researching seventeenth-century recipes. Deciphering these manuscripts required some skill, and so I had enrolled on a palaeography summer school where our kindly university lecturer introduced us to the transcription of poor law records. But what exactly was my error? From a science background, I knew only how to put together a scientific report with hypothesis, methodology, results and conclusions. I had no training in historical methods, so I applied the scientific method, daring to voice a hypothesis about the poor in the seventeenth century. The details escape me now, but likely my suggestion was a fanciful theory not borne out by the evidence, and the lecturer was trying to warn me about jumping to conclusions. It was a painful lesson about which I have thought many times since, and it certainly motivated me to find out about ‘good’ history. But, as I then began to immerse myself in early modern domestic medicine, I soon learned that ‘good’ history was something of a mirage. Rolling forward some years to growing interest in historical recipes and the Recipes Project, and what a welcome difference I found. I was much encouraged by history colleagues who gave freely of their knowledge and experience. In the early days, this led to setting up the Medicinal Receipts Research Group. I found other scholars developing much expertise in interpreting archival material with limited provenance and anonymous contributions by many hands. Often, the gaps themselves in the archives were meaningful, especially considering the invisible roles and activities of women. My doctoral research was assisted by groundbreaking studies of women’s history which questioned many historical concepts. 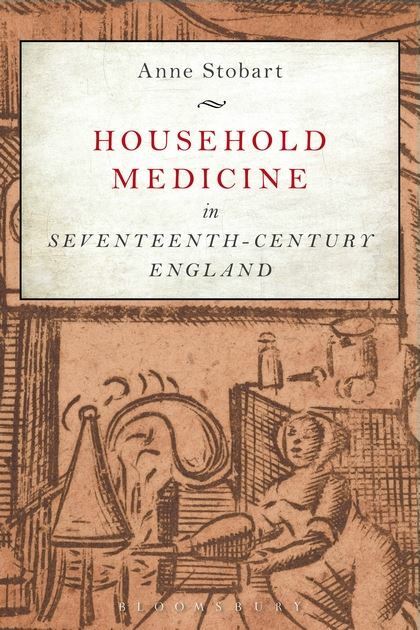 I did go on to carry out research into historical recipes and domestic medicine (now published by Bloomsbury Academic as Household Medicine in Seventeenth-Century England). One of my earliest Recipes Project posts based on my research was about an unusual ‘not-recipe’, a vehicle enabling one woman to express her frustration in seventeenth-century medical matters, albeit in a limited way. It has been inspiring since to see Recipes Project contributions discussing ‘What is a recipe’ in a wide-ranging foray with much interdisciplinary collaboration. But, as a practising medical herbalist, my research also led me into difficult conversations with some herbal colleagues who claimed a romantic past of witches, midwives and healers. At times, I found myself, in turn, warning about ‘bad’ history, arguing for more objectivity about the historical evidence available, and questioning assumptions that all early modern women were expert healers [Figure 2]. Fortunately, I found other herbalists keen to encourage more scholarly research in the history of herbal medicine and this led to setting up the Herbal History Research Network. At the opposite end of the scale, I found that historical colleagues needed ways to objectively evaluate medicinal plants, especially since many lacked medical or botanical backgrounds. This led me to develop the series entitled ‘The Working of Herbs’ providing a protocol for locating, and distinguishing, past and present understandings about medicinal plants. 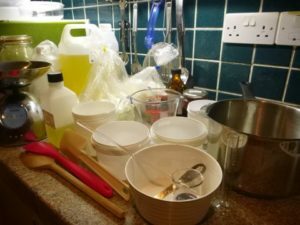 I have really valued the existence of the Recipes Project, as a sort of ‘room in the ether’ for networking with colleagues, a supportive space to explore such developments and techniques. 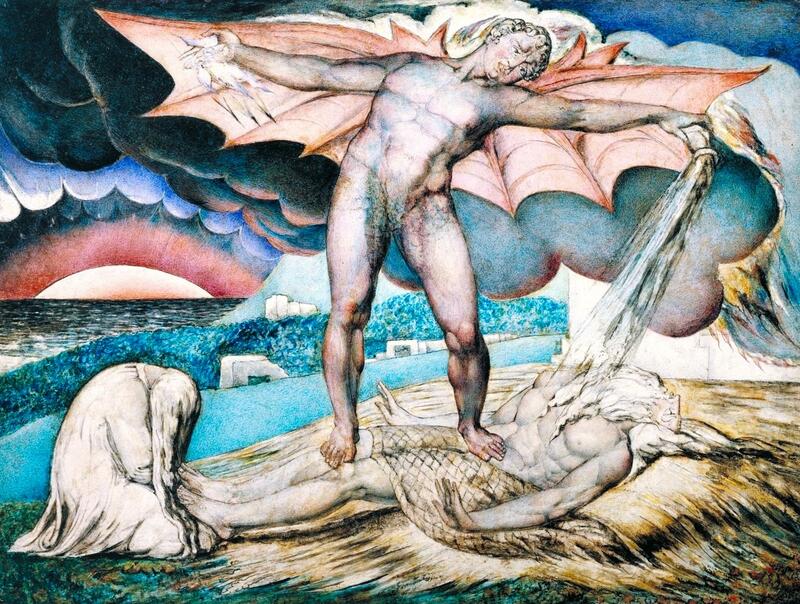 I remain interested in the tensions between science and history, curious about issues of methodology in historical research, fascinated especially by ‘historiography’, an expansive term which seems to encompass everything about ‘writing’ history, yet draws back under the critical gaze of some historians at the ‘doing’ of history. Particularly welcome in the Recipes Project has been the pioneering and positive approach towards the reconstruction of recipes [Figure 3]. As in the theatrical context (see Johnson, 2015), the recreation of living history, though not without drawbacks, brings greater appreciation of both emotive and technical aspects of culture, adding considerable value in interpretation of archives. For me, the study of historical recipes brings together so many social, cultural, economic and material aspects, that it is not surprising that historiography can be a challenge to articulate, let alone develop. I found that criticising other people’s historical approaches was easier than defining my own perspective. In my research I drew on a wide range of archival sources relating to an individual household, and I was glad to find others describing such a ‘micro-history’ style of working, recognising ‘ragged accounts’ in medical history research (Burnham, 2005, p.141). In further recognition of the importance of context, Wendy Wall (2015) writes of ‘knotty’ (p.91) issues raised by recipes, well illustrating the way in which these need to be carefully teased out. Trying to pin down accurate characterization of historical methods and frameworks is not a small task, but the Recipes Project can provide a great forum for such an endeavour. Long may the Recipes Project, and its tireless editors, continue to offer a rich feast of knotty historical recipe research. Burnham, John C. What Is Medical History? Cambridge: Polity, 2005. Johnson, Katherine M. ‘Rethinking (Re)Doing: Historical Re-Enactment and/as Historiography’. Rethinking History 19, no. 2 (2015): 193–206. Stobart, Anne. Household Medicine in Seventeenth-Century England. London: Bloomsbury Academic, 2016. Wall, Wendy. Recipes for Thought: Knowledge and Taste in the Early Modern English Kitchen. Philadelphia: University of Pennsylvania Press, 2015. Anne Stobart outlines the history of the Herbal History Research Network. Figure 1. The dispensary in a university training clinic. unkind to warn them of the lack of good sources, both primary and secondary, but this shortfall could severely affect their ultimate grades, particularly if they had little training in historical methods. As I talked further with colleagues about how we could promote more and better herbal history research, we realised that this was also a need of many research fields: from garden history to social history, from gender studies to the history of medicine. from the Wellcome Trust and, with the support of Middlesex University, we planned several day seminars in 2010 in London. Our seminars included expert speakers covering many aspects of classical, medieval and early modern medicine, from Galen’s simple medicines to Anglo-Saxon herbals and early modern midwifery manuals and much more. The seminars were well-attended and evaluation showed that the interdisciplinary nature of the event was welcomed by participants. A selection of the conference papers has since been edited and published by Bloomsbury Academic. A paperback version is now available (Figure 2). We have arranged further day seminars in some excellent venues, including University of Reading (Explaining the Actions: Researching Herbal Pharmacology in History, 2011), Bradford-on-Avon Quaker Meeting House (Communicating Herbal Knowledge in the Past, 2012), Bath Royal Literary and Scientific Institution (Gardens and Herbal History Research, 2013), RBG Kew (Illustration and Identification in the History of Herbal Medicine, 2014) and the Wellcome Library (Trade and Discovery in Herbal History, 2015 (Figure 3)). 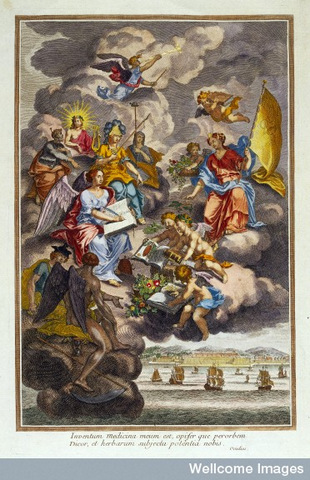 The discovery of herbal medicines, engraving 1700-1799. The advice and support from colleagues at these institutions has been most welcome and our events have often included extras, such as a visit to a botanical garden, always a plus! Attendance at these events confirms the interdisciplinary nature of herbal history, drawing in undergraduate, postgraduate and PhD students, university historians and ethnobotanical researchers, medical herbalists and medical practitioners, heritage centre and museum curators and many more. Extra support has been made available to students through prize book vouchers that we were able to give to students who made the best poster presentations. Support from the professional bodies of medical herbalists has been especially welcome, including the College of Practitioners of Phytotherapy, National Institute of Medical Herbalists and Unified Register of Herbal Practitioners. To further encourage collaboration and networking, a Jiscmail subscription list has been established for researchers in the history of herbal medicine. The list is called HIST_HERB_MED. At the time of writing, over 120 subscribers have joined the list and they reflect a range of academic researchers, herbal practitioners and others actively involved in research. 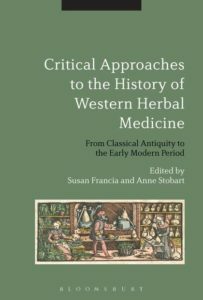 The list provides information about events and enables some discussion between medical herbalists and historians on specific issues. It is a good way to keep in touch with developments for individual researchers who are often plugging away alone. Looking ahead, we aim to borrow good practice from the experience of the Recipe Collective in developing a Herbal History website (all credit for setting this up to our colleague, Kimberley Walker). Here you can find out about our next seminar, based in the Midlands. The seminar theme is ‘Preservation Matters in the History of Herbal Medicine’, and it will be held on Wednesday 7th June 2017 at Birmingham Botanical Gardens. Full details of the programme and registration are online, and early registration attracts a discount. We welcome research student poster presentations at our seminars, so hope that colleagues will pass on details to likely contributors. [1} Stobart A. (2016) Household medicine in seventeenth-century England, London: Bloomsbury Academic, p. 80. Francia S and Stobart A. 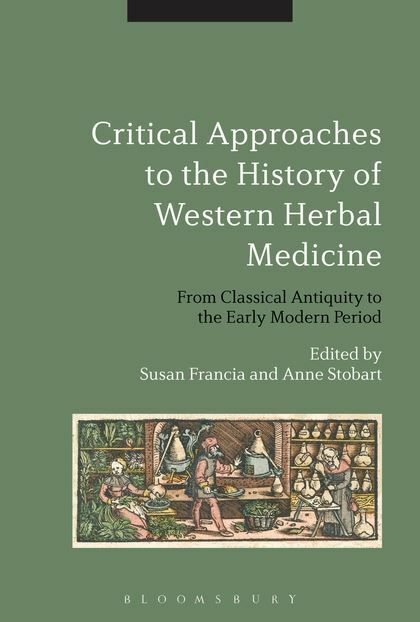 (2014) Critical approaches to the history of western herbal medicine: From classical antiquity to the early modern period. London: Bloomsbury. As a herbal practitioner, I have long been interested in historical uses of trees from folklore to domestic practices related to health. Recently, I have been looking at early modern medicinal recipes to consider how people might have obtained tree-based ingredients. 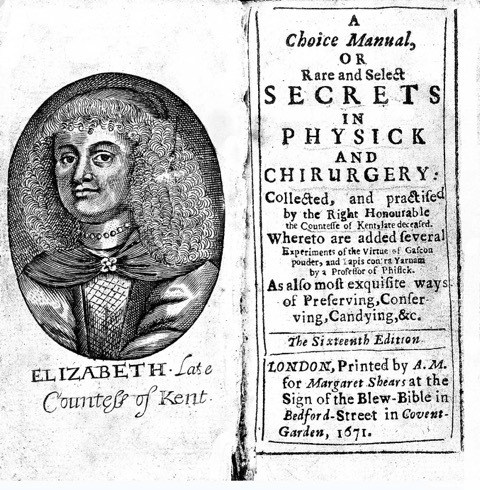 Here, I briefly overview recipes in several English printed seventeenth-century books, the highly popular Choice Manuall of Rare and Select Secrets (1653)  and compare with a later publication Medicinal Experiments, or, a Collection of Choice Remedies (1692). Figure 1. Elizabeth Grey, A Choice Manuall. Frontispiece of 1671 edition. Figure 2. Young oak seedlings (author’s photograph). In Elizabeth Grey’s Choice Manuall (Figure 1), just under a third of the recipes, 112 altogether, contain ingredients originating from trees. 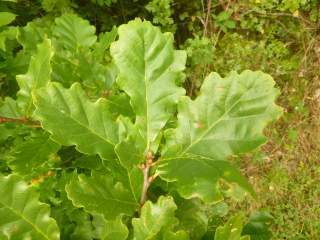 Of these, 19 recipes can be identified as using parts of native trees – mainly ash, elder, hazel, hawthorn, holly, oak (Figure 2). 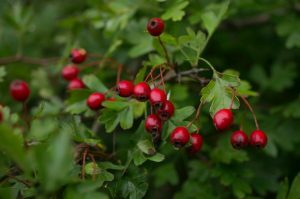 Some recipes are simples, involving a single key ingredient, often based on leaves or fruits that might be available in the hedgerow at certain times of the year. Amongst recipes for bruises is the instruction to ‘Take the sprigs of Oak trees, and put them in paper, roast them, and break them, and drink as much of the powder as will lye upon a sixpence every morning’ (p.77). Another more complex recipe for distillation of ‘Aqua composita for the Collick and Stone’ (p.137) calls for birch leaves and haws, or the fruits of hawthorn (Figure 3). “For the Strangullion or the Stone. Another recipe uses the inner bark of elder seethed with daisy roots in a butter ointment for an inflamed throat (p.90). Obtaining bark, particularly its removal from the tree and preparation, could require tools with sharp edges. If taken from the entire circumference, bark removal would cause the death of the branch or tree. Some tree barks were readily available because they were felled for other purposes such as timber, but they were destined for use in tanning leather. Apart from building needs, trees produced other valuable crops from fuel and fodder for livestock. Although some trees might have been accessible in a hedgerow, many were in woodlands or fields, requiring permission to access their produce, and these rights or ownership could be subject to conflict . However, ingredients from native trees were few in number compared to exotic trees in the Choice Manual recipes. The great majority of tree-based ingredients (83%) were imports derived from tree bark and fruits, such as cinnamon, clove, nutmeg, as well as resins such as myrrh and frankincense. Other fruits and nuts such as dates and walnuts were included in medicinal broths and syrups. Recipes for external preparations often called for oils deriving from almond or olive trees. These items were generally products to be purchased from an apothecary or spicer. Such imported ingredients were also popular in the later seventeenth-century recipe book of Robert Boyle’s Medicinal experiments, which included tree-sourced items in fourteen recipes. There were no native trees to be seen, with the exception of oil of juniper which was probably of European origin and purchased. Boyle’s recipe book contained a (relatively) new introduction from North America which was sassafras (Sassafras albidum, Figure 4). 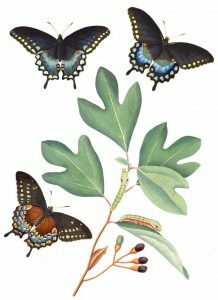 The aromatic bark and roots were particularly noted for their medicinal uses, and sassafras appeared in recipes for ‘A Lime water for Obstructions and Consumptions’ and ‘A Stomachical Tincture’ (pp. 12, 88). In comparing these two English recipe books, from mid to late seventeenth century, we see that the popular Choice Manual included a range of native tree items, but such native sources were not included in Medicinal Experiments. However, both books included many exotic tree-derived ingredients, and Boyle’s book of recipes added a new item of sassafras from the Americas. I hope to investigate further how the uses of tree ingredients developed in the early modern period. 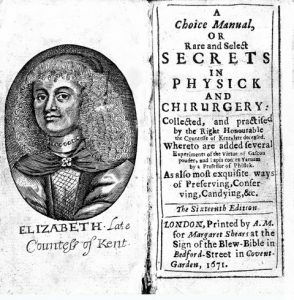 Elizabeth Grey, A Choice Manuall of Rare and Select Secrets in Physick and Chirurgery (London: R. Norton, 1653). Robert Boyle, Medicinal Experiments, or, a Collection of Choice Remedies, for the Most Part Simple, and Easily Prepared (London: Printed for Sam Smith, 1692). On folklore see David E. Allen and Gabrielle Hatfield. Medicinal Plants in Folk Tradition: An Ethnobotany of Britain & Ireland (Portland, Oregon: Timber Press, 2004) and Fiona Stafford, The Long, Long Life of Trees (New Haven: Yale University Press, 2016). Nicola Whyte, Inhabiting the Landscape: Place, Custom and Memory, 1500-1800 (Oxford: Windgather, 2009). This is the last of four posts about my investigation into traditionally used native (folkloric) plants in medicinal seventeenth-century recipes. In the first two posts (here and here) I looked at the most frequently appearing plants and some differences in recipe indications in print and manuscript contexts. In my third post I discussed some less frequent plant ingredients. In this post I want to flag up some factors which might have affected the inclusion of these plants in remedies. 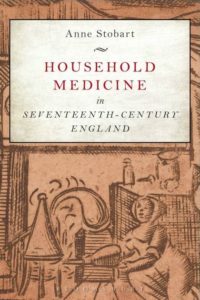 The ideas presented here draw on the chapter on the nature of medicinal ingredients in my forthcoming book Household Medicine in Seventeenth-Century England. Knowledge of native plants in traditional use may have been regarded by some in the seventeenth century as less than worthy, and Rebecca Laroche notes that the word ‘simples’ was removed by John Parkinson in the title of Theatrum Botanicum (previously the ‘Garden of Simples’). Patrick Wallis describes substantial increases in seventeenth-century medicinal imports, showing that the use of ‘exotics’ was widespread. 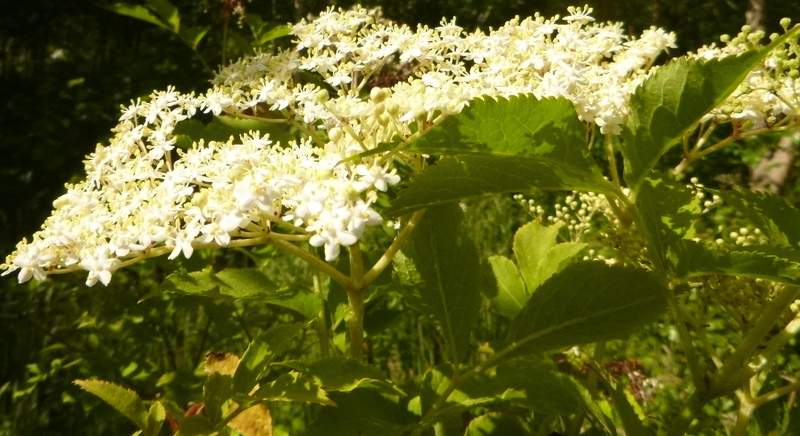 So it might not be so surprising if native plants appeared somewhat less often in medicinal recipes. If knowledge about such plants was passed on orally then perhaps we might not expect to see any of them in medicinal recipes. However, when I looked at the occurrence of forty common native plants in my database of seventeenth-century recipes I found variable numbers. 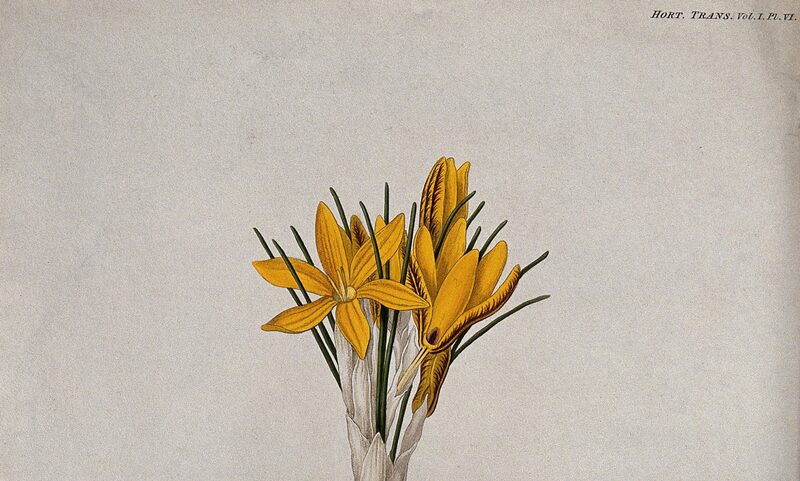 Thus, some native plants that were also known in the scholarly tradition were almost as common as spices, while others, especially acrid plants, were far less common, particularly in the later seventeenth century. Fewer recipes for external use in the later seventeenth century? Another factor affecting the likelihood of a native plant appearing in a recipe might have been the changing nature of recipe preparations: from recipes for external use such as plasters and ointments to those for internal use such as drinks. I compared the numbers of internal and external preparations in my database of 6500 recipes. Such an analysis has to be tentative as the dating of recipes is not always accurate. In the first half of the seventeenth century, they split almost evenly: the printed recipes favoured external preparations at 56% of all recipes, a little more than external preparations in the household recipes at 49%. However, in the second half of the seventeenth century, the balance shifted noticeably towards internal preparations in both household and printed recipes. The proportion of external preparations decreased to to nearly 42% in printed books, and less than 38% of recipes in household collections. It is possible that this shift could have contributed to less frequent inclusion of some native plants. Interest in simples was also promoted by Helmontian physicians, and the powers of purified remedies provided strong advertising claims by commercial remedy sellers. Understanding the knowledge and use of traditional native plants in seventeenth-century medicinal recipes is not straightforward. Many of these plants were included in external preparations which were declining in the seventeenth century. Yet, towards the early eighteenth century some native plants were reappearing in favour both in recipes and as simples. Anne Stobart, Household Medicine in Seventeenth-Century England (London: Bloomsbury Academic, 2016). Rebecca Laroche, Medical Authority and Englishwomen’s Herbal Texts, 1550-1650 (Farnham: Ashgate, 2009), p.151. Patrick Wallis, ‘Exotic Drugs and English Medicine: England’s Drug Trade, c. 1550–c. 1800’. Social History of Medicine 25, no. 1 (2012): 20–46. Anne Stobart, ‘”Lett Her Refrain from All Hott Spices”: Medicinal Recipes and Advice in the Treatment of the King’s Evil in Seventeenth-Century South-West England’. In Reading and Writing Recipe Books, 1550-1800, edited by Michelle DiMeo and Sara Pennell, 203-24. Manchester: Manchester University Press, 2013. Fortescue of Castle Hill papers, 1262M/FC/7. Exeter: Devon Heritage Centre, item 18. David B. Haycock, ‘A Thing Ridiculous’? Chemical Medicines and the Prolongation of Human Life in Seventeenth-Century England (London: London School of Economics, 2006), p. 23.